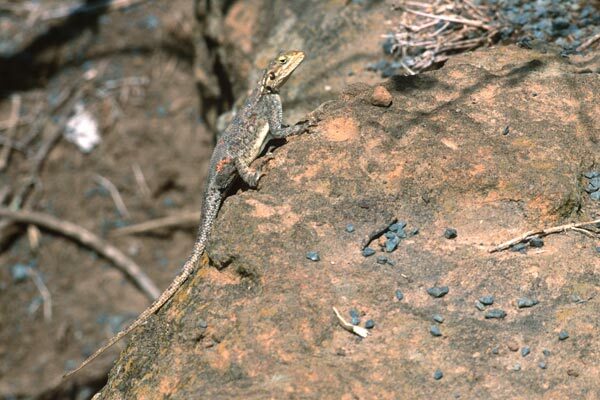 These agamas were probably the most visible lizards in Kenya, though some skinks and geckos may have been more common. They're a social species, often found in groups. This is a tiny little baby one that visited us on a lunch stop off the road between Nairobi and Tsavo. 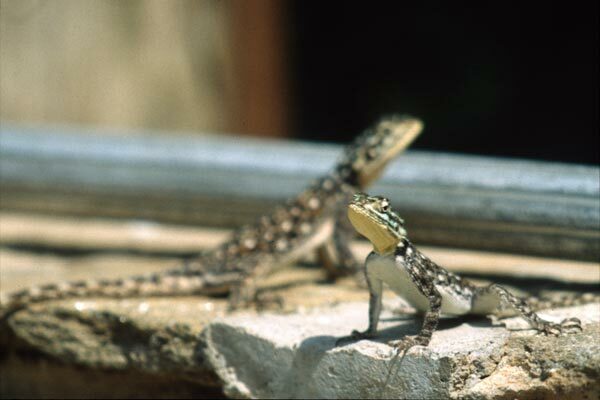 A gregarious group of agamas held court at poolside at the Samburu Intrepids tented camp. 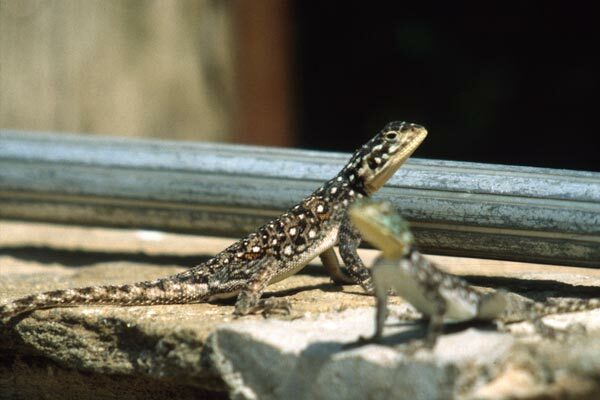 The full-grown females are somewhat smaller than the males, and have light green flecks on their heads. Maybe you can get a hint of this from the foreground lizard. 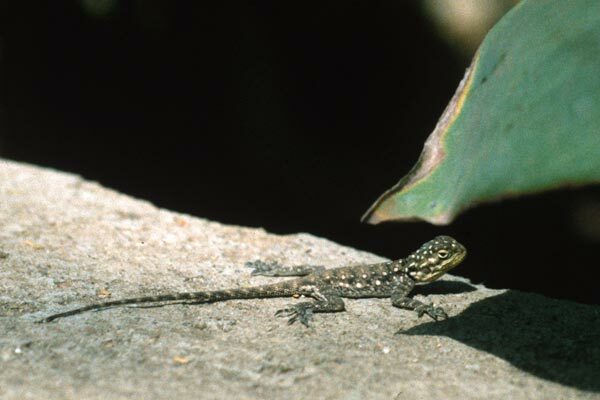 The males are often colored similarly to the females, though without the green flecks, such as the larger background lizard here. 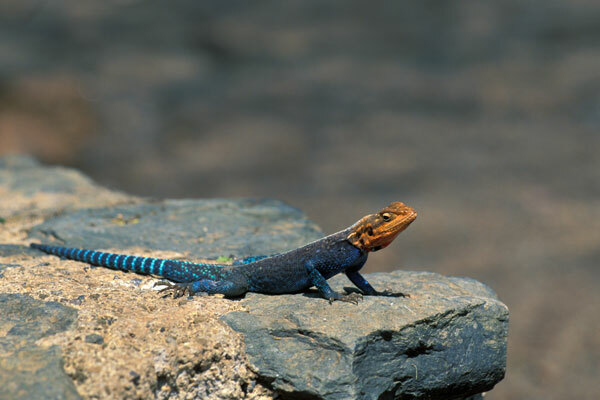 These lizards are best known for the shockingly bright colors sometimes adopted by the dominant males. Remarkably, a brownish spotted male such as the poolside fellow from Samburu above can turn into one of these garish eyecatchers in just a few minutes.